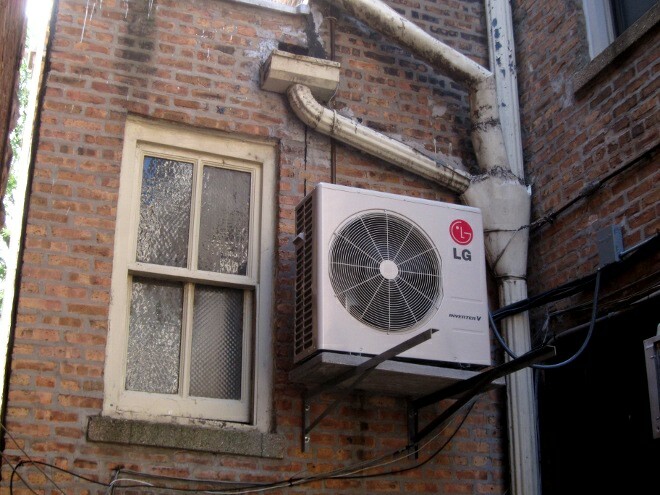 A quick update on our air conditioner, brought to you by…you. As you know, we solicited a loan from our customers through LendSquare. A dozen people offered to loan us money, and we ended up fulfilling the loan with money from five people (all customers), who each lent us between $100 and $5,000. The interest rate will be a very, very reasonable 3.7% — many times better than we could get from a bank. We contracted installation with Greenleaf Heating and Cooling, who specialize in energy efficiency and were also, as a bonus, prompter and more respectful of our space than previous contractors we’ve worked with. While pricier than a normal window A/C unit, this thing can pump out quiet a bit more cooling, is quieter, and is more energy efficient (has a higher SEER rating). We haven’t received a power bill yet, but I can tell you we are throwing away less produce now than we were a few weeks ago. 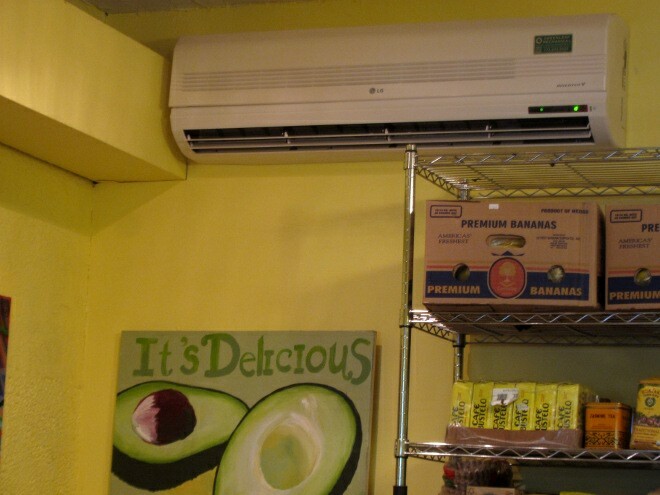 With our previous A/C, we were hitting 79 F in the produce section on hot days. Since installation, it hasn’t gone above 66 F.